Chris Brown wears Dior So Real sunglasses in the Five More Hours music video. 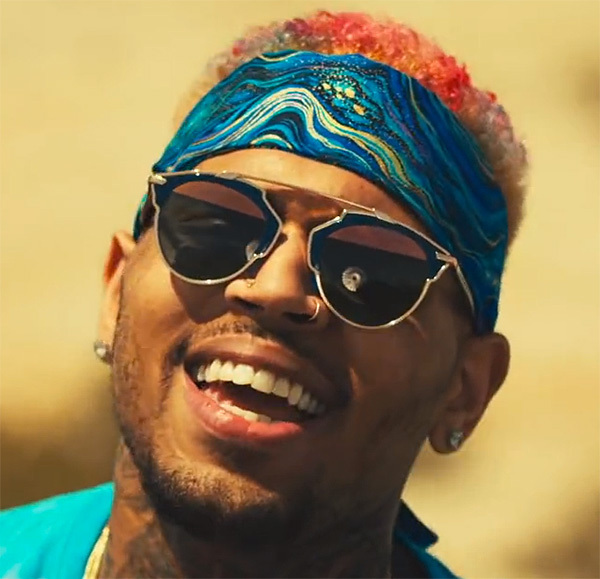 Singer Chris Brown wears Dior So Real sunglasses in the Five More Hours music video. The Dior So Real come in many different color combinations. It looks like Chris Brown is wearing the Rose Gold and Blue frame. Also note the Blue lenses that have a Rose Gold mirror top part, another unique feature of a unique pair of sunglasses. See more variations here or find the Dior So Real on eBay (beware of fakes, only buy from trusted sellers). In the music video for Fun (Pitbull), Chris Brown wears another pair of Christian Dior sunglasses, the Technologic model.